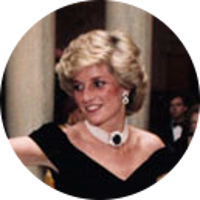 1 Evans, Richard K., The Ancestry of Diana, Princess of Wales , Boston: New England Historic Genealogical Society (2007), 304. 2 Roberts, Gary Boyd, The Royal Descents of 600 Immigrants to the American Colonies or the United States , Baltimore: Genealogical Publishing Co. (2008), 35. 3 Roberts, Gary Boyd and Christopher C. Child, "The Shared Ancestry of (Rachel) Meghan Markle and Prince Harry of Wales", (accessed 11/30/2017). 4 The Marquis of Ruvigny and Raineval, The Blood Royal of Britain: Being a Roll of the Living Descendants of Edward IV and Henry VII, King of England, and . . ., London: T. C. and E.C. Jack (1903), 13, Ancestry.com (Online Database).